In December our Potrero Hope SF Project, www.rebuildpotrero.com for BRIDGE Housing hit a great milestone. The San Francisco Planning Commission certified the joint EIR/EIS! Thank you to all those involved. Rebuild Potrero is a project of BRIDGE Housing Corporation and HOPE SF to redevelop the Potrero Terrace and Annex public housing into a vibrant mixed-income, mixed use community where all families can thrive. 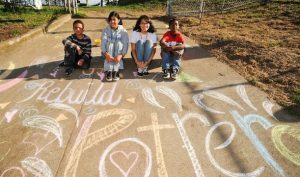 Rebuild Potrero is grounded in the City of San Francisco’s HOPE SF initiative, which seeks to transform four of San Francisco’s most distressed public housing sites into vibrant, thriving communities through holistic revitalization. Potrero Terrace and Annex is one of the four active HOPE SF sites.